Home » SD Connect C4 » PIC16lf88-I/SS SSOP-20. SDConnect C4 Security PIC. 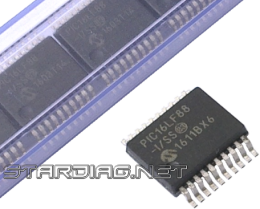 Microcontroller PIC series. PIC16lf88 – SDConnect C4 Security PIC. 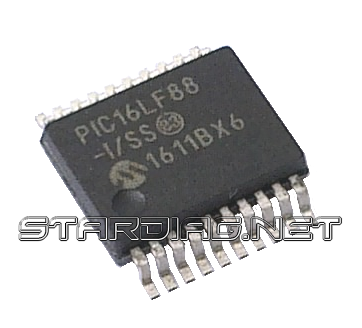 Microcontroller chip PIC16lf88-I/SS SSOP-20 is used in the multiplexer SD Connect (Mercedes) as the “security pic”. 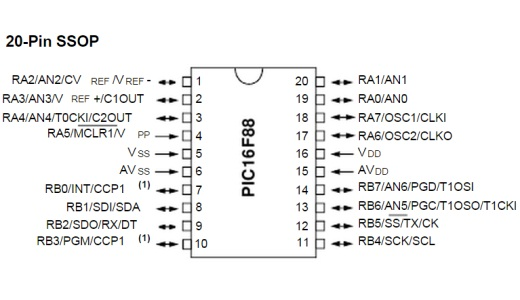 In the case of blocking of the multiplexer, chip PIC16lf88 must be replaced. Before installing in the scanner SD Connect C4, chip needs to be flashed with the appropriate dump. Read more in the post “Unlock SD Connect”.